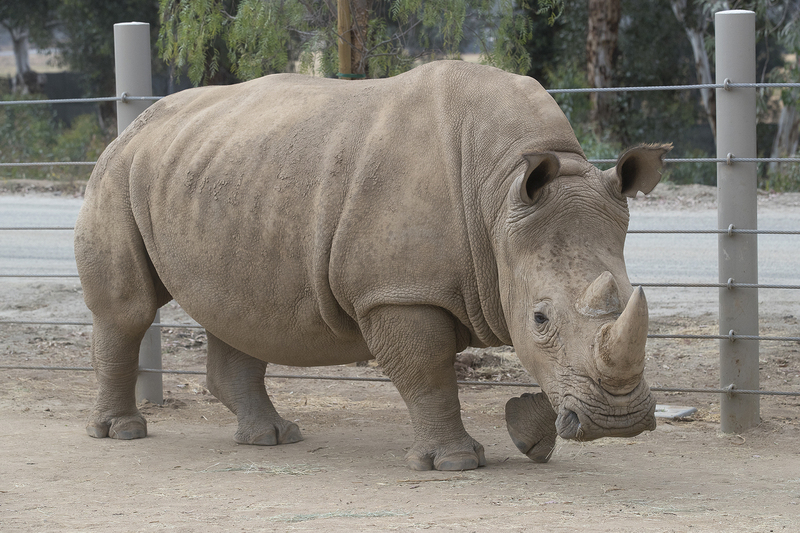 For a second time this year, and just in time for World Rhino Day Sept. 22, researchers at the San Diego Zoo Institute for Conservation Research announced today (Sept. 18, 2018) that they have confirmed a pregnancy in another one of the six southern white rhinos living at the Nikita Kahn Rhino Rescue Center: 10-year-old Amani. The pregnancy, made possible through artificial insemination with sperm from a male southern white rhino named J Gregory, is important to the ongoing work to develop scientific knowledge required to genetically recover the northern white rhino, a close relative of the southern white rhino. Only two northern white rhinos currently remain on Earth and, unfortunately, both are female.